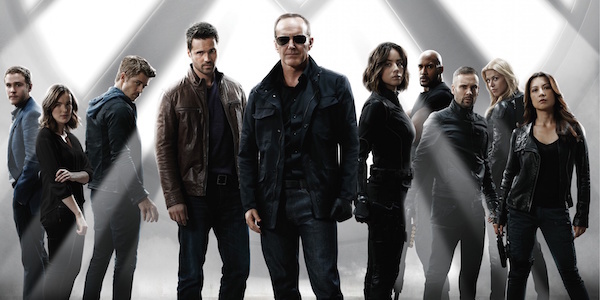 Just like with Captain America: The Winter Soldier in 2014 and Avengers: Age of Ultron last year, Agents of S.H.I.E.L.D. will be tying in with the latest Marvel blockbuster in May. This year, it’s Captain America: Civil War, which will see the Avengers and other major heroes in the MCU feuding over the new, worldwide regulation of superhumans. Two weeks ago, it was said that the third Captain America installment would have a “ripple effect” on Agents of S.H.I.E.L.D., and it appears we have the Inhumans to thank for that. In the aftermath of the events of Captain America: Civil War, S.H.I.E.L.D. feels pressure to reveal their involvement with Inhumans. But with the stakes higher than ever and Hive growing stronger, the team is tested in ways they could never anticipate. Ever since Season 2’s “What They Become,” the Inhumans have played an important on Agents of S.H.I.E.L.D., even more so in Season 3 since those Terrigen-laced fish products made their way around the world. Aside from Daisy Johnson, S.H.I.E.L.D. has started recruiting other Inhumans to the organization, with the goal being to build the Secret Warriors. Unfortunately, since Inhumans were outed to the public, much of the general population looks at them with fear, which, to be fair, is applicable when it comes to Lash and Hive. That same kind of fear is also been thrown the Avengers’ way in Captain America: Civil War, hence why this legislation is being passed, and the Inhumans will likely themselves subjected to regulation as well. In “Bouncing Back,” Phil Coulson met with President Ellis, who gave the okay for S.H.I.E.L.D. to keep operating with the ATCU’s support as long as they stayed in the shadows. If the President learned that S.H.I.E.L.D. has been using Inhuman agents in field, he may be forced to take drastic action against them for legal reasons, even if he understands the good things they’ve accomplished. Subsequently, this could result in S.H.I.E.L.D. operating as an independent entity again, i.e. they’ll still be protecting the world, but without support from the government. It all depends on how the protagonists react in “Emancipation” following what goes down in Captain America: Civil War. “Emancipation” will air Tuesday, May 10 at 9 p.m. EST on ABC, and the Agents of S.H.I.E.L.D. two-hour Season 3 finale will arrive the following week at the same time.